Academic Insights of Durango is an independent, small business that provides timely, accurate and professional Independent Educational Evaluations (IEE) for students of all ages. At Academic Insights, our goal is to provide you with an in-depth understanding of yourself or your child’s unique learning profile in order to clarify specific learning strengths and weaknesses. The results of this evaluation will identify solutions to help ensure educational success for yourself or your child. 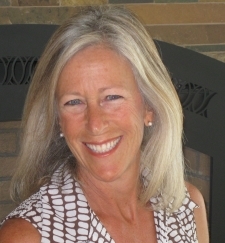 Susan Schaldach, founder of Academic Insights, has a Master's Degree in Special Education, and over 36 years of experience as a special educator and professional teacher in the Durango public school system. Over her career, she has been a strong advocate for individual evaluations because the insights gained from an IEE help drive effective programming and enhance school success. Today, she is a passionate diagnostician dedicated to providing an in-depth, solution-oriented assessment in a professional, supportive environment.